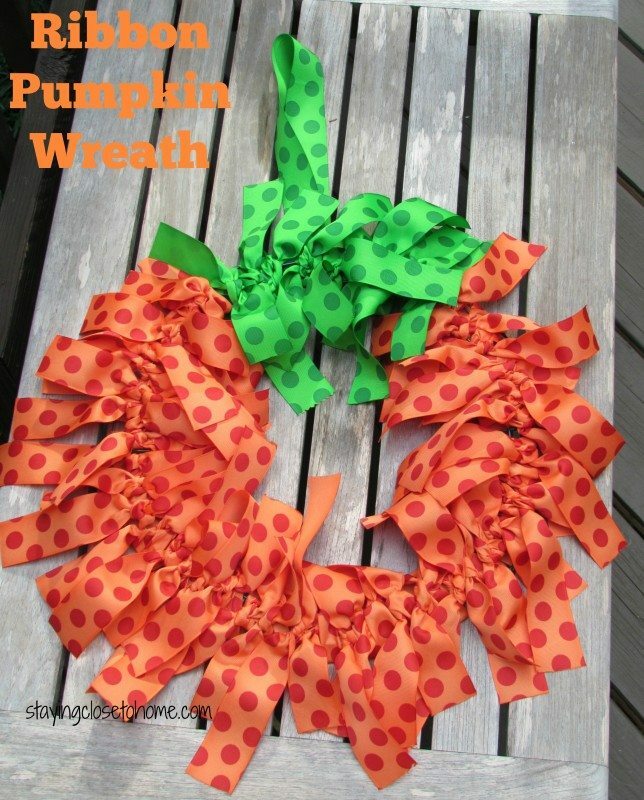 How to make A pumpkin wreath out of ribbon. Don’t judge me, I waited until Labor Day to start talking about Fall and pumpkins. even though my kids just started school this week. (at least the boys are finally out of my hair) I was contacted by BBCrafts.com to do a DIY craft using their ribbon. While I received promotional materials to make this pumpkin wreath all the opinions are 100% our own. Since I used to do a lot with ribbons making headbands I thought I would go with that theme and make this easy Pumpkin Headband using these great ribbons from BBCrafts. BB Crafts is a the wholesale distributor of ribbon, tulle and wedding favors in US. 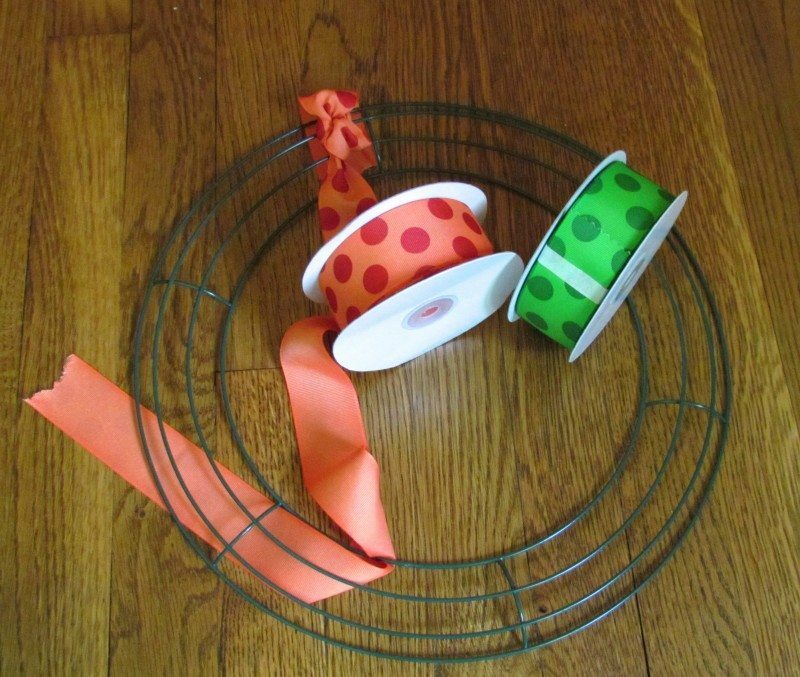 Thinking about this DIY project, I went through their large array of ribbons, from grossgrain ribbon in every size and color to organza sheer ribbon to fun Holiday themed ribbons. I decided I wanted to make an easy wreath that can go from the start of fall thru Thanksgiving. What else do you think of but pumpkins. 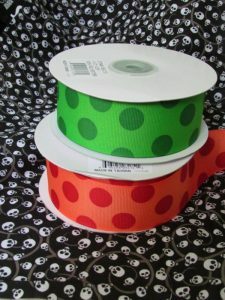 I ordered the Jumbo Dot Grossgrain Ribbon in orange and green. For 11.50 you get 25 yards of 1 1/2 inch ribbon. 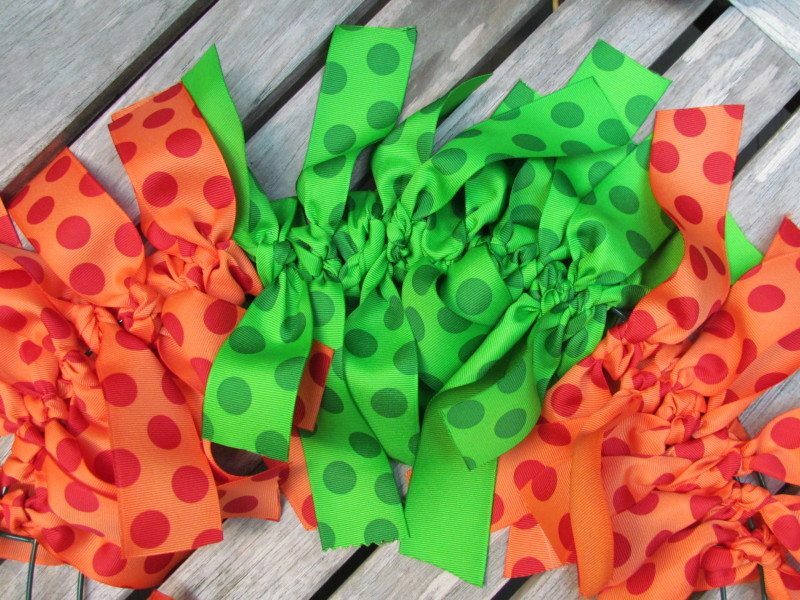 Pretty good deal as you use a lot of the orange ribbon and have plenty of the green dot ribbon which will be perfect for Christmas. Hmm. I also purchased an inexpensive 12 inch wire wreath mold at the craft store. Now for the hard part. Really I am kidding about that. I use a wood burning tool to cut large amounts of ribbon as it seals the edges. If you don’t have a wood burning tool, why would you unless you? You will want to use pinking shears or cut the ribbon and then seal the edges with a lighter. A little time-consuming for all the pieces of ribbon needed for this project. 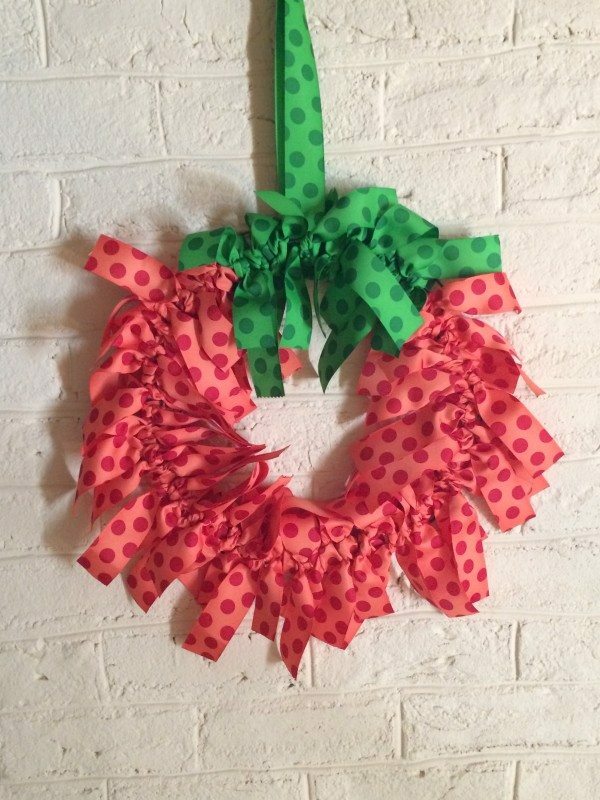 You will need 8 pieces of ribbon for each quadrant of the wreath. I cut each piece 16 inches and then realized if you want a more uniform wreath cut half of them to 14 inches. (will be more obvious later) I only used 8 pieces of green ribbon. Alternate by double knotting one ribbon on the 2 inside pieces of wire and then the entire wire wreath. I just thought this filled out the wreath better than only doing it one way. 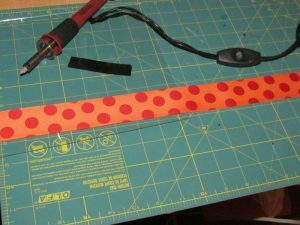 You will use less ribbon if you just do the outside wires. Adjust the ribbons as you go to fill it out nicely and to cover up the wreath frame. 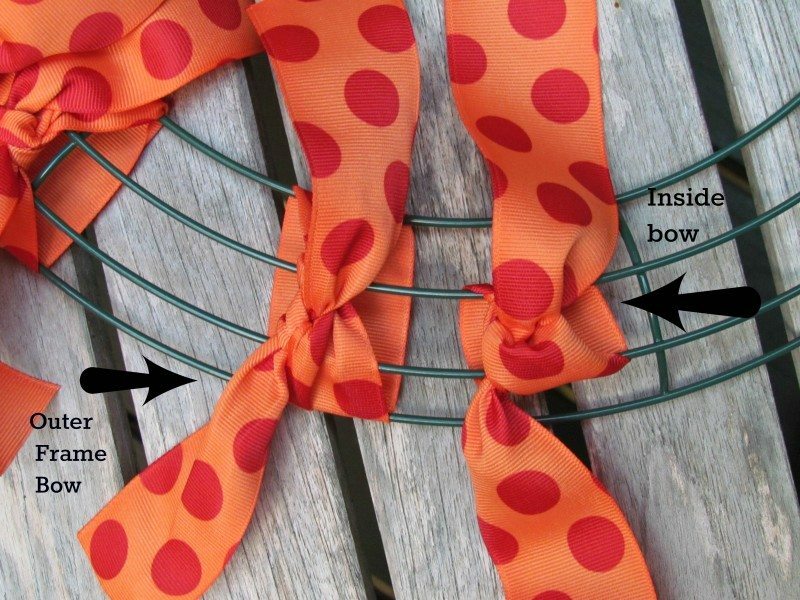 If you are using a patterned ribbon, be sure and always have the pattern showing. That’s it. 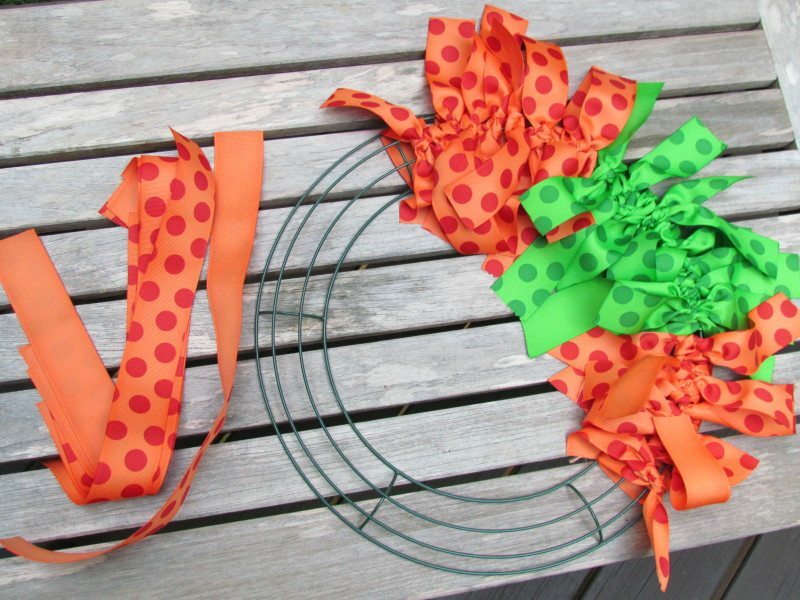 Add your wreath holder or pumpkin stem to the back of your Ribbon Pumpkin Wreath by tying a piece of ribbon to the back of the green section. Once you hang the wreath you may have to adjust the ribbon some too. Have fun this is an easy project and does not cost that much. I can’t wait to go to BBCrafts.com again and come up with some more fun holiday ribbon projects. I will keep this wreath indoors since we don’t have a porch overhang. I love this project! The ‘shabby chic-ness’ of it is adorable. It looks easy enough to make, too, though having to burn each of the ribbons does seem time-consuming. This is such a cute craft idea. I like that it so easy to make and looks so attractive at the same time. This looks amazing. And its easy enough I may be able to do it! So pretty! thanks for the instructions on how to make this. We usually don’t do fall decorations. However, this is such a cute little wreath. if you can tie knots and cut ribbon this is for you! That is adorable! Definitely something even my non-crafty self can do! What a super cute idea! Love the ribbon choices. Looks so easy to make! So cute and looks pretty easy. 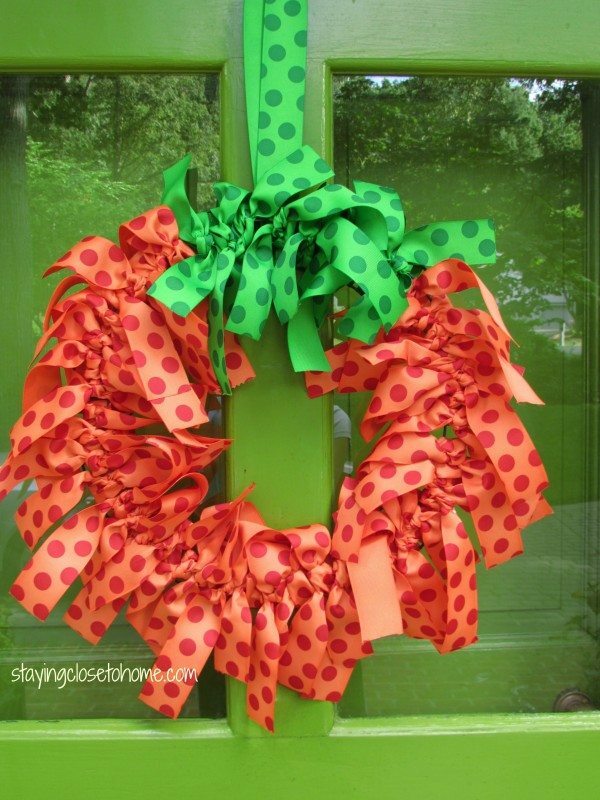 Great idea for leftover ribbon from projects. Thanks! How cute is this wreath!!! I’m going to have to make me one! I need to start pulling out my fall decor. I love this time of year. This is so cute! I am going to pin it to my fall board! That is the cutest thing and I love how easy that is to make.